NF Electrical’s highly experienced and fully qualified retail electricians offer a wide range of services for your retail outlet. We can guarantee all of our customers a friendly and professional service based around your specific needs. Contact us to receive an estimate or arrange a time for us provide a full quote. Whether you own a small outlet, a department store, estate agent, corner shop, restaurant, cafe or high end retail outlet with over 20 years of experience in commercial electrical services, installation and maintenance, NF Electrical has fully qualified electricians for all your electrical requirements. Click here to find us on the electrical safety register. Our electricians and electrical engineers are 17th Edition, IEE Certified and are able to carry out work for all types of electrical services to a very high standard. This means complying with BS7671 and the NICEIC regulations. 24 hour Emergency Electricians are available so if your system breaks down and you require a NF Electrician to help, then we are only a phone call away. There will always be someone to answer your call, day or night and we will do our best to reach you in the shortest amount of time possible. This will hopefully leave you with minimal downtown in your electrical circuits and systems. 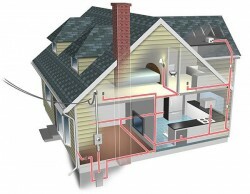 99% of the time we will be able to get your electrical circuits back up and running. In some occasions you might find that we can partially repair your circuits or systems leaving you not completely in the dark but you can be sure that we will return usually within 24 hours to fully rectify any outstanding issues. We are able to carry out a full installation to any size of retail outlet. Whether it is a small partial Rewire or a full rewire of a large store we can help. With over 20 years of experience, our electricians are fully prepared for all reactive call outs and electrical fault finding. 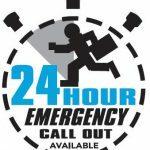 We can help 24 hours a day. If you handle food an annual health inspection will check to see if there is ample lighting and that your electrical sockets are in good condition. An Electrical Installation Condition Report (EICR) is usually required every five years. We can complete these out of normal opening hours so that your staff and customers are not affected. We are currently offering the best prices for electrical installations in the Midlands. This we do because we have genuine concern for our customers. 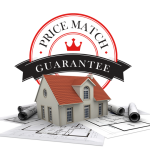 However, we offer price match guarantee for identical materials and services. Please feel free to make a price match claim when you spot a lower product price from any of our competitors in the area. We will honor such claims in line with our company’s price matching policies. We will beat the price at a rate that will leave you smiling. Try NF Electrical now and watch us live up to that promise.